11" - 5 qt Bowl 4" H x 11" Diam. 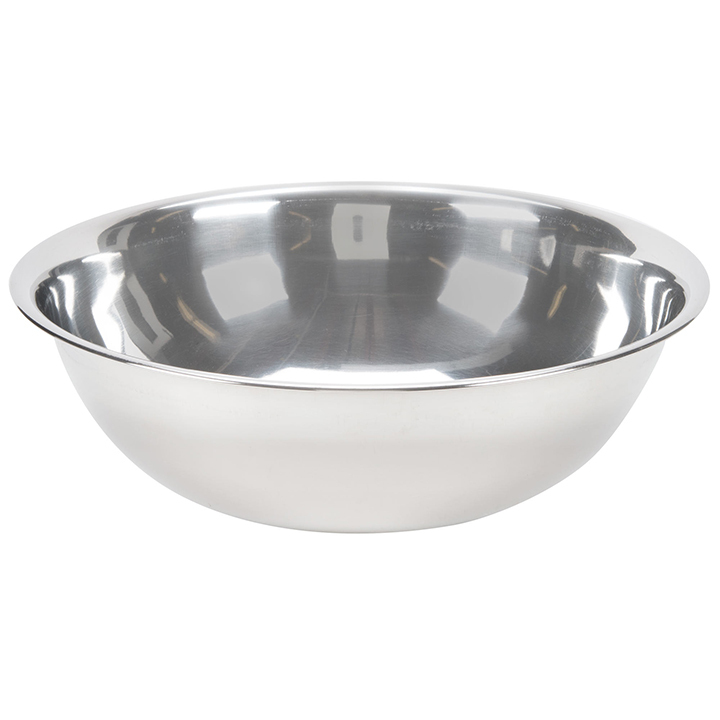 13" - 8 qt Bowl 4.5" H x 13" Diam. 17" - 13 qt Bowl 5.5" H x 17" Diam. 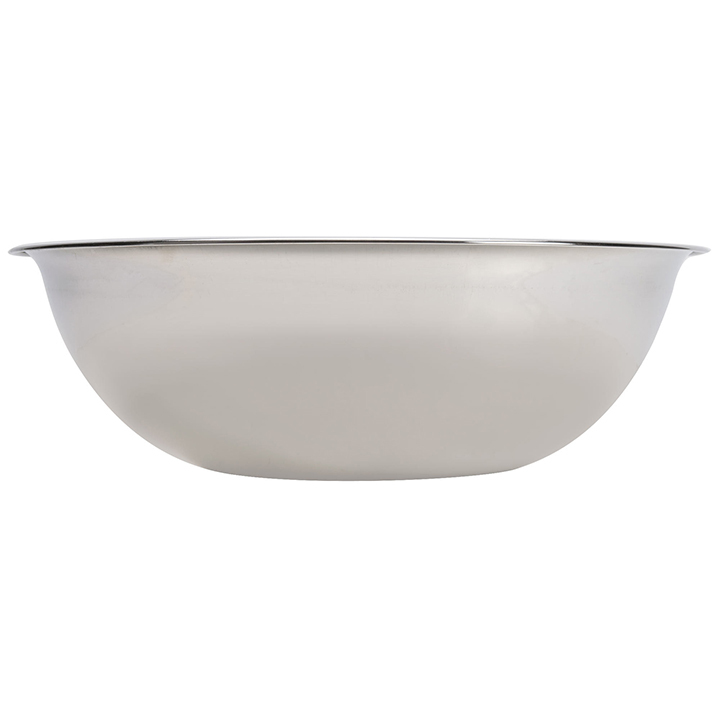 19" - 20 qt Bowl 6" H x 19" Diam. 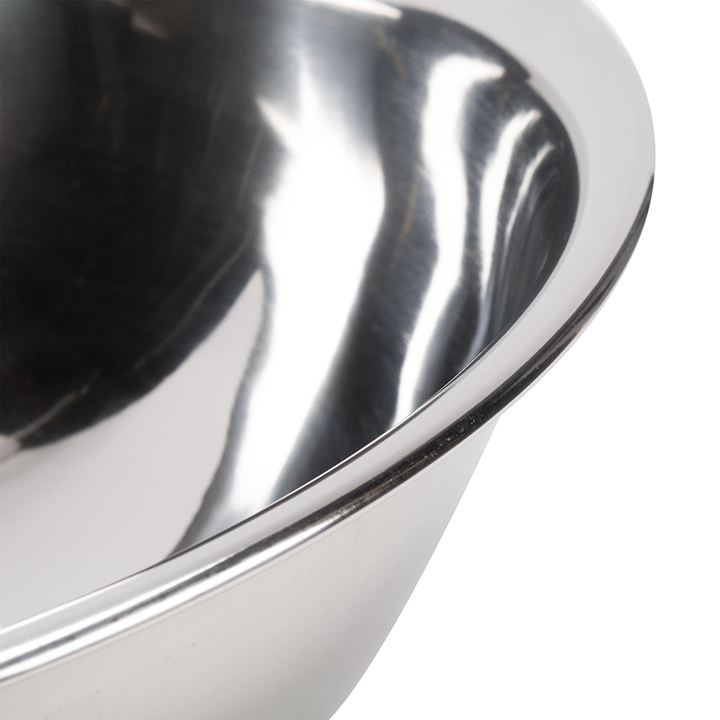 No matter your menu, you need stainless mixing bowls in your kitchen. They provide places to blend batters, dressings, and dough. The steel construction is extremely durable, and the flat bottoms offer sturdy bases so that ingredients do not spill onto the counter. 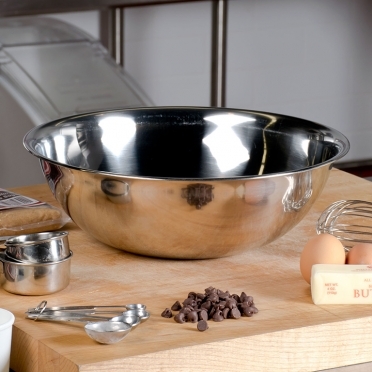 Whether you must whip cream for your desserts, blend sauces for your dishes, or toss salads, our mixing bowls are ideal. Depending on your needs, you can choose from a variety of sizes.